Analgesic: Serrapeptase has been used for several years as an analgesic for inflamed tissues and general aches and pains. These effects are accomplished through the inhibition of pain-causing molecules called amines. When tissues are inflamed, blood vessels become dilated and chemical messengers are relayed to the brain to increase the sensation of pain. Serrapeptase works against discomfort by reducing the recruitment of these pain molecules to sites of inflammation, and allowing for reparative molecules to facilitate the healing process more rapidly. When pain is reduced, secondary factors like stress and mood are also improved. 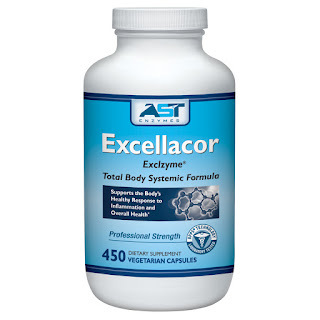 Anti-inflammatory: Perhaps one of serrapeptase’s best-known properties, it has been used, and proven in various clinical studies to be effective in similar ways as NSAID anti-inflammatory agents. Serrapeptase is particularly effective on localized sites of inflammation, aiding in the clearing of cellular debris and encouraging the body’s natural ameliorative effects on edema. Serrapeptase is often compared to NSAID pain relievers, but it should be noted that serrapeptase as an oral systemic enzyme does not contain similar risks and side-effects to those of NSAID’s. Serrapeptase does not threaten the gastrointestinal lining, nor does it increase the risk for gastric ulcers. In fact, it is typical for clinical studies to note the impressive tolerability of serrapeptase as an oral therapy. Mucolytic: Because serrapeptase has the ability to break down and digest protein waste, it has been studied in upper respiratory conditions, and has shown promising results. As a mucolytic, serrapeptase is capable in dramatically reducing sputum viscosity in human patients. This means that the serrapeptase thins the mucus, which allows for the patients to more readily expel mucus from the airway. Serrapeptase, therefore, is a promising agent in common conditions like chronic sinusitis, and ear, nose and throat conditions that are characterized by increased mucus production. Healing injuries: Serrapeptase is a known supplement among professional athletes for both prevention and treatment of sports injuries. Injured joints, ligaments and muscles are coated with fibrin that supports the injured tissue as it heals. The body can sometimes produce too much fibrin, causing scarring over these tissues which directly impacts range of motion and can cause discomfort. This fibrin also takes up room that new, healthy tissue could potentially be regenerating in. 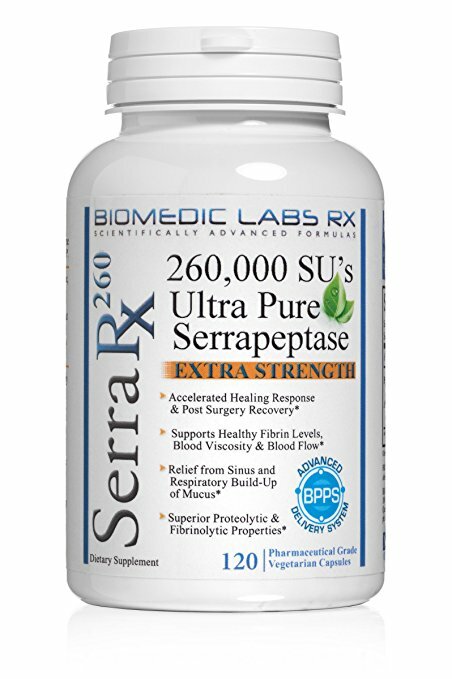 Serrapeptase works by helping the body to break down excess scar tissue, enhancing recovery and promoting the healing process.